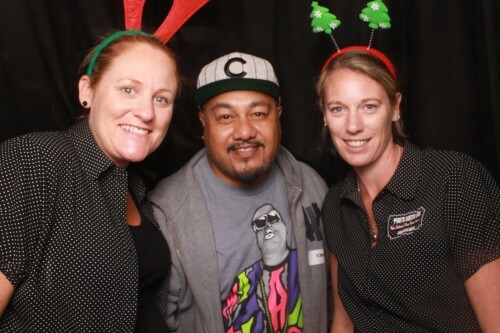 Photo Booth Fun Auckland would like to extend a huge thanks to everyone who came along and saw us at the recent Bride & Groom show at Ellerslie. What an awesome bunch of people you all were and it was great to see you all having so much fun in our booth. We hope you had a wonderful day and took away with you some ideas and inspiration for your big day. All of the photos taken in our photo booth on the day, are now up for you to view on the Bride & Groom Magazine Facebook page. Don’t forget you need to find your photo, tag yourself in it and then get your friends to like it – before the 31st May. You will then be entered in to the draw to win the fabulous beauty hamper valued at over $800!! Wow, the 21st annual Bride & Groom Show is less than two weeks away! And, we are very excited to be attending this year! If you are planning a wedding, then this show is an absolute MUST! Everything you need to plan your big day is under one roof. Buy your earlybird tickets now to save money and receive a free gift! Tickets will also be available at the Show entrance on Sunday 1 May for $20 per person. Come along and see us at stand 215 – plus, if you get your photo taken in our booth, you will go into the draw to win a hamper. Happy Big Gay Out 2016! Valentines Day 2016 saw the Auckland crew attend some stunning weddings (it always is a very popular date to tie the knot), but this year we also had the pleasure of being a part of the Big Gay Out. This is Aucklands favourite annual gay event, and this year it was bigger and better than ever! We had a booth set up at the Rainbow Committee Advisory Panel stall and it was a massive hit! It was used non-stop all day long and everyone had a blast striking up different poses with the props! We attend hundreds of parties each year, so consider ourselves pretty knowledgeable when it comes to planning the perfect party (and obviously a photo booth is high on the list of “must haves” when it comes to party planning). If you are planning a party this year and need some ideas, inspiration or recommendations, check out a few of these awesome companies below – they will be sure to make your day extra special! Happy new year photo-boothers!! It really is crazy to think the festive season is behind us and 2016 is in full swing!!! And of course we couldn’t have a personal resolution and not a professional one – and its actually a very simple one …. we just want to make more people smile! In fact, its pretty hard NOT to smile inside our booths, but just to help increase the levels of smiles we get, we are now including a box of props with every one of our packages. 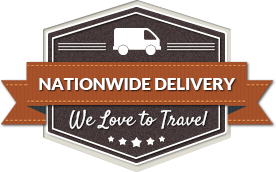 Thats right – no matter what package you book with us, you will now get a box of props included. Props are the perfect way to make you laugh and smile, and they always go down a treat at any event. 2016 is shaping up to be an awesome year in so many ways – and we hope its going to be a fab one for you too! So, here we are – midway through December, and right in the thick of the silly season! 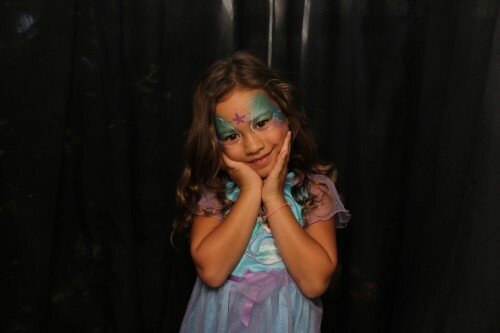 For us here at Photo Booth Fun, December is manic and by far our busiest month of the year! We have back to back bookings, and our feet sometimes fee like they don’t touch the ground! But the best thing about December is all the awesome Christmas parties that go with it! Everyone is winding down at work and waiting with great anticipation for their annual knees up! It really is wonderful watching everyone relax and unwind after a year of hard work. Thank you so much to everyone who we have been involved with this year, and we wish each and everyone one of you a magical and fun filled festive season. Stay safe and we look forward to working with you all again next year. Its a very sad month for us all here at Photo Booth Fun, as we say a massive and heartfelt farewell to our bookings/admin/accounts extraordinaire Suze! Suze has been with us for over 5 years, and most of our customers would have had the pleasure of dealing with her at some stage or another, as she helped to make the whole booking process easy and stress-free for everyone. 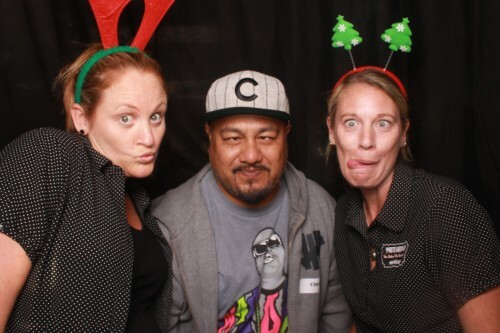 As Suze heads off to embark on a new career, we would all like to take this opportunity to thank her for her amazing dedication to Photo Booth Fun, and we wish her all the very best for the future. And of course share some snap-shots of the face that we know and love, and reflect on all the great times that have been had. We are going to really miss you Suze! 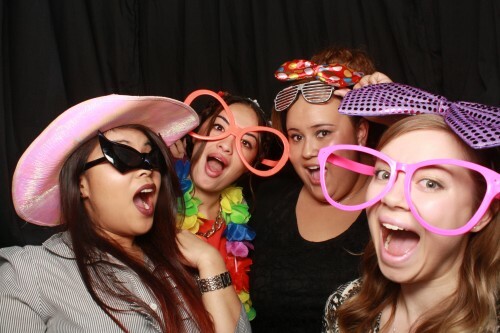 Jacs, Dee & the entire Photo Booth Fun team! Most of us know that no wedding is complete without a photo booth! We attend hundreds of weddings around the country each year, and it always warms our hearts to get great feedback about our booths and services. 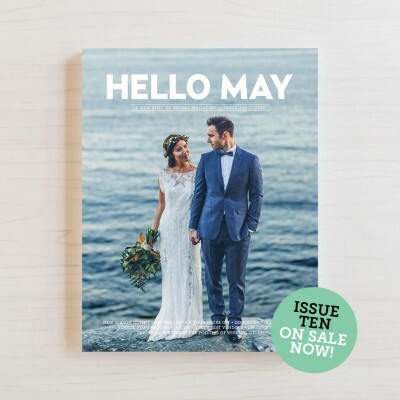 Back in February we had the pleasure of joining Alexa and Dayle at their stunning wedding at Abbeville Estate, and what an honour for them to have their special day featured exclusively in issue ten of Hello May Magazine (on sale now). Its a beautiful magazine with a special mention of Photo Booth Fun on page 46. And on that note, if you are planning a wedding yourself, you should get yourself along to the Grand Wedding Show on Sunday 27th September. 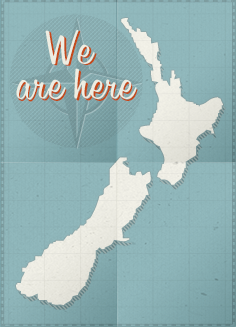 Its being held at the SkyCity Convention Centre from 9am – 4pm. Everything you need to help plan your day is under one roof – it really is an expo not to be missed. And, of course, some of your friendly Photo Booth Fun crew will be there too, so come along and have some fun in one of our booths. Hope to see you there!